Let everyone who enters your Poker Room know that it is time to Shuffle Up & Deal the cards. 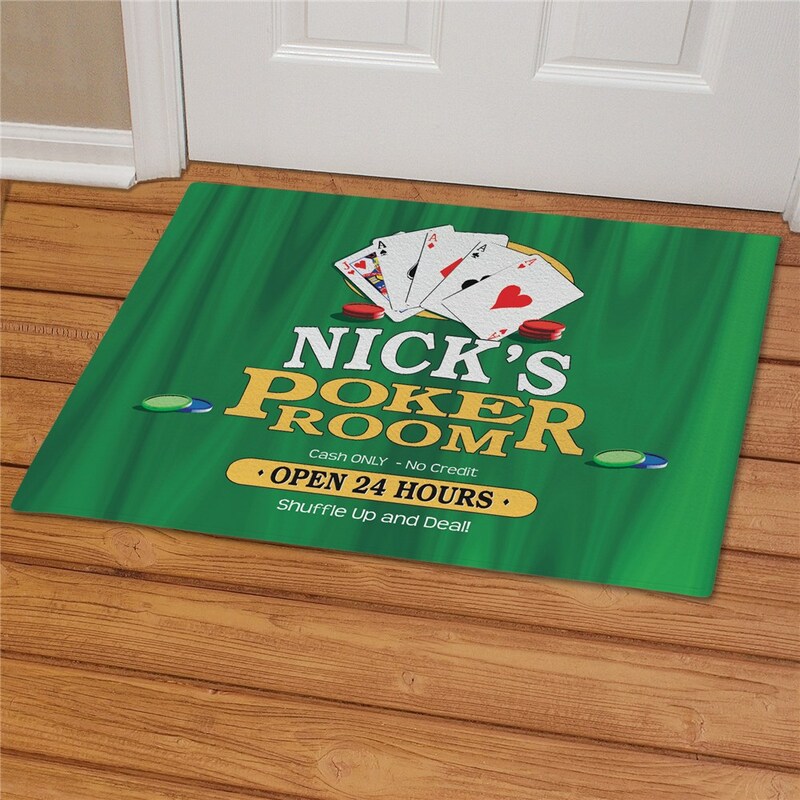 Your Personalized Poker Room Door Mat welcomes all for an exciting evening of cards, good times and good luck. Mancave Gifts are a perfect housewarming or Father's Day gift for your Brother, Dad, Uncle or Grandfather. 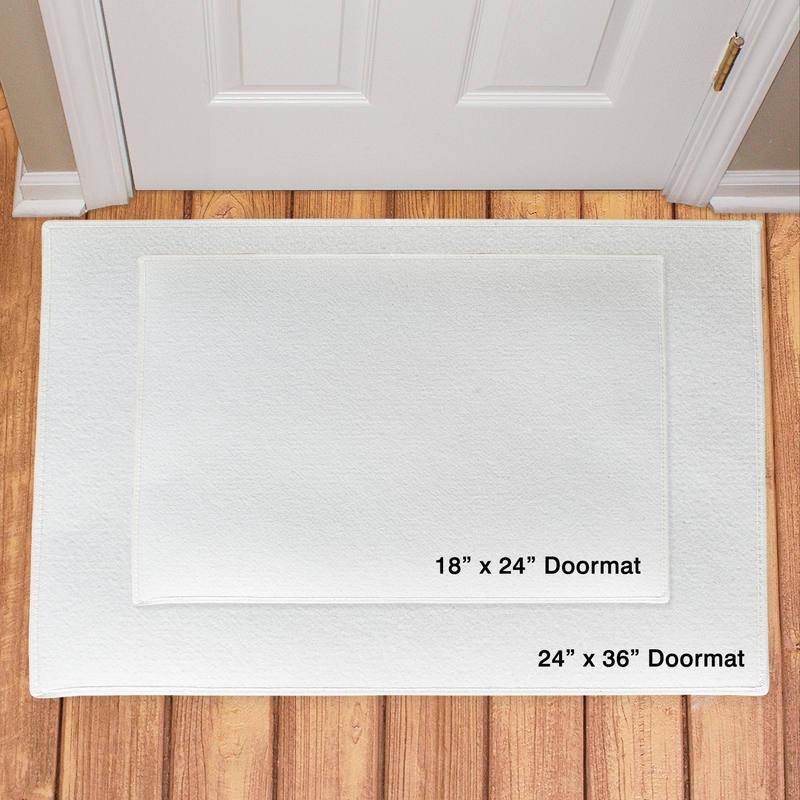 Our Personalized Poker Room Doormat includes FREE Personalization! 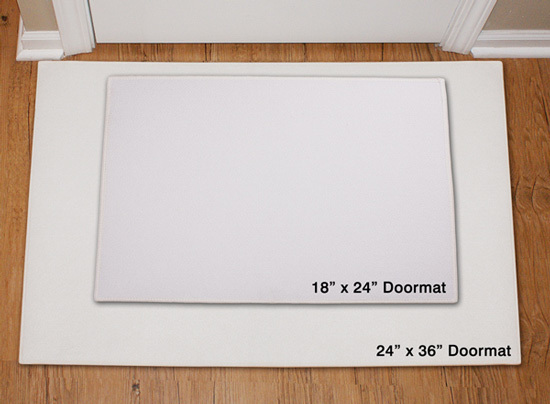 Personalize your Poker Room Doormat with any name. Very unique!!!!! Really Cool!!!!! Great price and fast shipping. Perfect for a "poker fan" at my office. Looks as good "live" as in the on-line photos. Purchased this mat as a gift for my "Poker Shark" boss and it is as nice looking "live" as it is on the site - I almost think it's suitable for framing! !